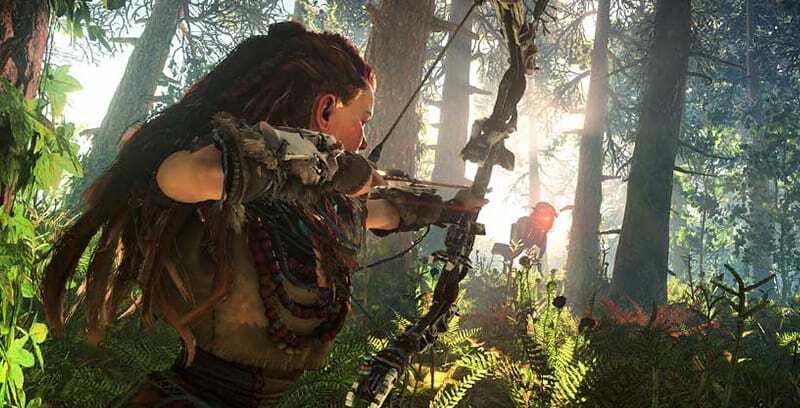 We’ve yet to receive official word on Horizon Zero Dawn 2 from either Sony or developer Guerrilla Games, but given just how well the first game did on PS4, most of us have assumed a sequel is – or will be – in the works at some point. As it turns out, it sounds like a follow up to the open world adventure game is very much already in development. While I have to stress that this isn’t proper confirmation by any means, one of the first game’s voice actors has dropped a pretty substantial tease that heavily implies Horizon Zero Dawn 2 is well underway. Janina Gavankar, who voiced Tatai in the Frozen Wilds expansion, has mentioned the existence of a sequel while speaking to a cosplayer at the Star Wars Celebration (she also plays Iden Versio in Star Wars Battlefront II). 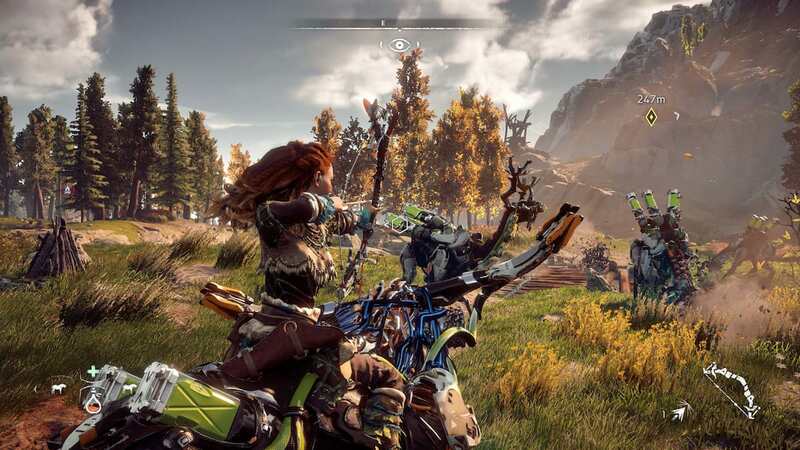 Gavankar dropped a pretty hefty bombshell on the cosplayer by not only revealing Horizon Zero Dawn 2 game exists, but also by claiming that it’s going to be bigger and better than its predecessor. I imagine there are fair few people at Sony and Guerrilla who aren’t thrilled with this turn of events, especially since she said this during a livestream. It’s incredible, wait until you see the sequel. You’re gonna die….I know some secrets! – you’re gonna die. While Gavankar declined to elaborate any further (which is something, I guess), we can at least assume that Tatai will be returning in Horizon Zero Dawn 2. We can probably also assume that she’ll have a fairly big role, if she’s privy to certain juicy secrets. 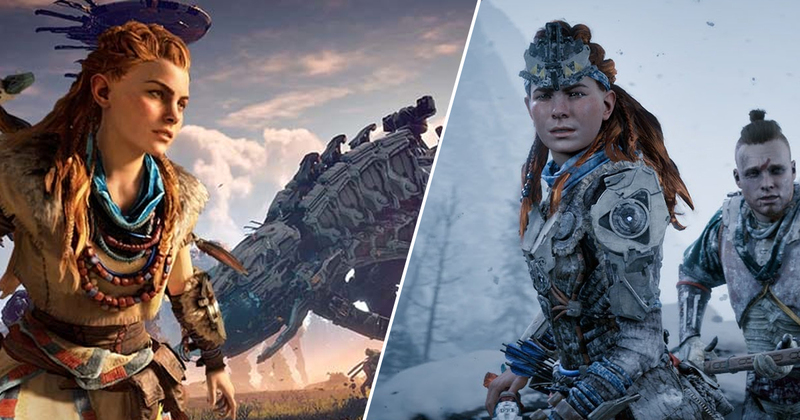 There’s a chance Gavankar could be playing an entirely new character of course, though comments made last year by Hermen Hulst, Managing Director and co-founder of Guerrilla Games seem to suggest that we’ll be sticking with Aloy and her friends in any potential sequel. She [Aloy] really uncovered some of the main mysteries in the world, but how do you feel when you finish the story? Are there questions that come up that you want to relive and answer for Aloy? It was not difficult for us to build the Frozen Wilds and tell that story through Aloy. The environments and the world that we’ve put together easily raise more questions. If Horizon Zero Dawn 2 really is on the way, I wouldn’t bank on seeing it any time soon. It’s far more likely that the game will be a PlayStation 5 exclusive, which means we probably won’t see it launch until around 2021 at the earliest.